Two weeks ago, I traveled to Karlstad, Sweden, to see my all-time favourite musical. It's been two years since I last saw Les Misérables live, so it felt especially sweet to watch this new production. Wermland Opera's Les Misérables is a collaboration in between a largely British creative team and Swedish cast and crew. According to his interview in the production's souvenir programme, director James Grieve usually works with newly written straight plays. If anything, I believe that experience makes his new version of Les Misérables the musical even stronger. This production moves forward so smoothly, you don't even notice when a scene changes into another. In every scene, the audience's attention is directed to exactly where it should be, be it Jean Valjean or Javert or Fantine or Cosette or whoever. No one tries to steal the spotlight, everybody onstage works well together and the performances support each other beautifully. It's a joy to watch. In the aforementioned interview, director Grieve says he sees Les Misérables not as a musical, but as a play with sung dialogue. While some might argue that's exactly what a musical is, I see what he means: in this production, the songs are dialogue first, musical numbers second. For example: Jean Valjean's long 'took his flight' note when he escapes with the Bishop's silver is cut short, creating a rather realistic delivery of the line – one that reflects the determination and hurry of a man who has to get away quick. With little details like this, every line in the most overdone ballads of the piece seems to have new thought and meaning behind it. This is especially apparent in Jean Valjean's material. The character's inner struggle has never felt this tangible to me. Have you ever seen such a perfect portrayal of a character that you have a hard time describing it? 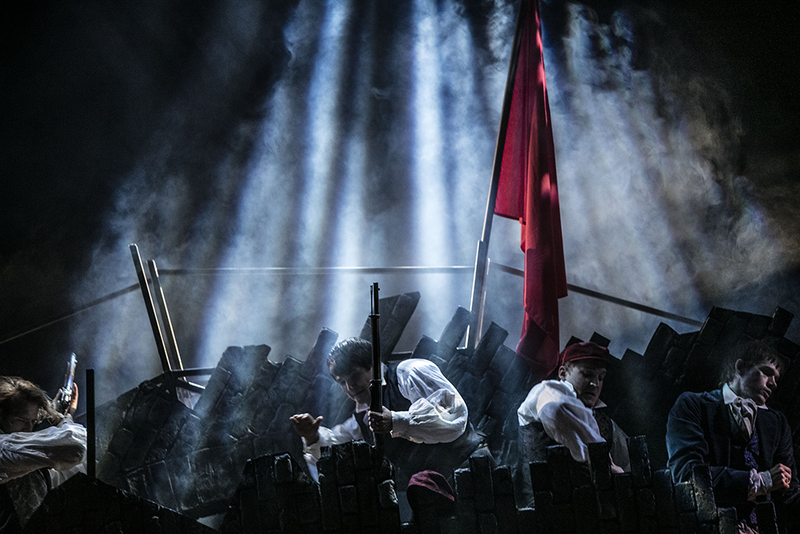 Christer Nerfont's performance highlights the big tragedy at the heart of Les Misérables. It's not about Jean Valjean versus Javert, or Jean Valjean versus the world. It's, first and foremost, about Jean Valjean versus Jean Valjean. Facing his past, his conscience, his personal sense of right and wrong. This Jean Valjean thinks a lot. Sometimes, he thinks out loud so we can hear and sympathise with his troubles. Every line has depth and meaning. Sometimes, he thinks quietly, but even then, it's clear to us what's going through his head. For example, when reading Marius's letter to Cosette, we see a plan forming in his mind before he's even through reading. Nerfont's performance is very expressive in the sense that it's easy for the audience to understand what Jean Valjean is going through and how he decides to take the action he does. I could list so many little moments I adore in this performance. Convict 25601's (the Swedish translation makes a small change to the notorious number) transformation into a respectable mayor. 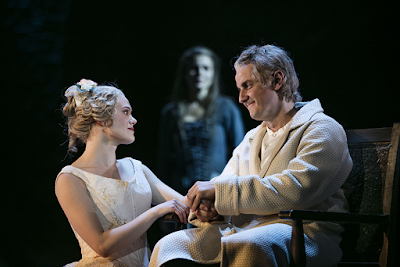 How it dawns on him what he has done to Fantine. How Jean Valjean keeps an eye on Marius at the barricade the whole time. His heartbreaking 'no no no no no' when he sees everybody on the barricade has fallen. His total frustration with Javert in the sewers. In short, I have never seen this thoroughly thought-out, three-dimensional, human portrayal of Jean Valjean's character. This is the first time the character has felt truely relatable to me. What I've written so far should be reason enough for you to book your tickets to see this production. Come back after you're done. I'll wait. If Jean Valjean is everything I've ever hoped for and then some, Inspector Javert leaves something to wish for. Philip Jalmelid's take of the character is rather vigorous and angry, sometimes to the point of silliness. He is more pronouncedly antagonistic than I personally think the character should be portrayed as. 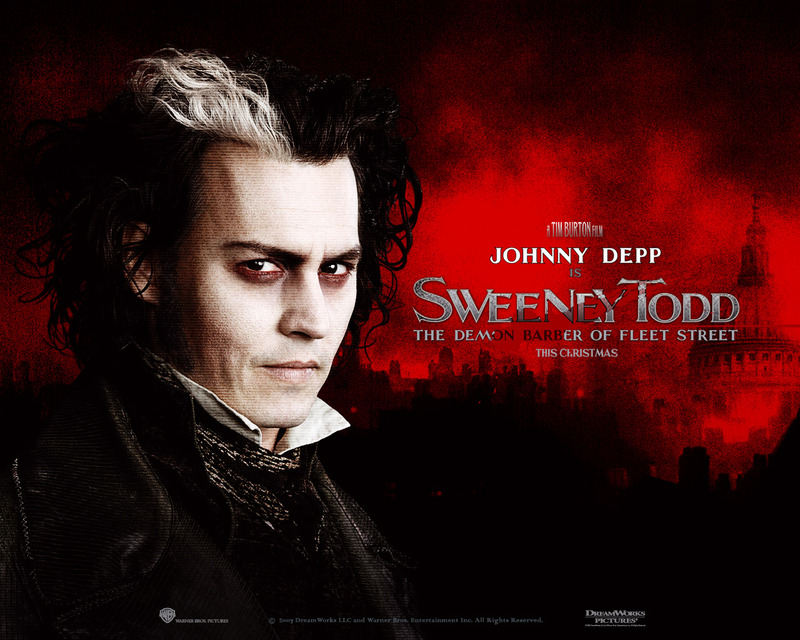 I have been summarising the performance as "Sweeney Todd gets anger management lessons from Donald Duck" – and while that's obviously a gross exaggeration, there is something very Tim Burton's Sweeney Todd-like in Jalmelid's angry, obsessive, borderline vengeful Javert. The white stripes the character has in his black hair are... not helping. He also makes me think of Geoffrey Rush's Javert in the 1998 movie adaptation. In my eyes, great vocals usually cannot save a lacking performance. Here... I wouldn't say the singing makes it all good, but it makes it a lot better. Jalmelid's singing escapes words, it's so good. Jalmelid delivers the production's biggest showstoppers. His soloes are more musical-like than Nerfont's. While Jean Valjean's big songs are all about introspection, Javert's are classically beautiful musical ballads. I was especially impressed by Javert's Suicide, it literally made my heart beat faster. All in all, I'm not saying that the way this production portrays Javert is wrong. It's just not in line with my own interpretation of the character. I can however appreciate how making Javert less nuanced highlights the depth in Jean Valjean's characterisation. 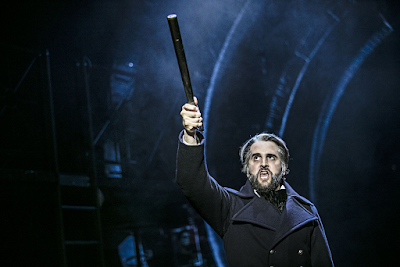 Maybe in this production, we're actually seeing how Javert looks like in Jean Valjean's eyes? One of the best Fantines I have seen. Fantine's story always feels a bit rushed in the musical, but Cecilie Nerfont Thorgersen makes the most out of the character's material. Interestingly, she's reprising a role she first performed in 1996 – in Wermland Opera, no less. This production has taken some inspiration from the 25th Anniversary Concert and has Fantine and little Cosette cross ways while Fantine is making her exit after Come to Me and Confrontation. It's a bit sugary and sentimental, but very effective in any case... I'm not crying, you're crying! This production doesn't make the Thénardiers comic reliefs. For that, I raise my glass. The Thénardiers' songs are lighter in tone than the rest of the score, but there is nothing laugh-out-loud funny about them. Master of the House is their introductory number, plain and simple – it just shows them doing what they do and being who they are. Dog Eats Dog makes it clear the Thénardiers are victims of the system too, products of their environment, whether they admit it or not. And instead of a clumsy last-minute comedy number, Beggars at the Feast is a cynical celebration of opportunism. No matter that the world we live in is a broken one, these two will always land on their feet. The Thénardiers I have liked so far have all been good actors making the best of an unfortunate situation, trying to introduce darker shades to in-your-face comedic scenes. 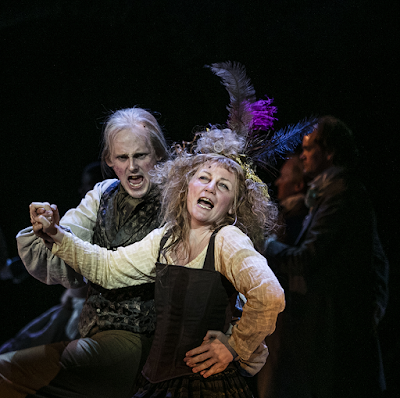 Here, with the direction itself giving the Thénardiers' material a somber spin, we get sinister, upsetting, three-dimensional performances from Norén and especially from Schlyter. I have to wonder, however, why director Grieve has chosen to feature Thénardiers in the Finale but leave Javert out. If you ask me, it would have made more sense to either put everybody in the final scene, so-called bad guys included, or leave both Javert and the Thénardiers out. If the scene is not treated as an all-inclusive barricade afterlife, I don't see any reason why the Thénardiers would feature in Jean Valjean and Fantine's heaven! Rikard Björk's Enjolras and David Alvefjord's Marius are an effective revolutionary duo, pasting up Lamarque posters and giving speeches to the Parisians. Alvefjord delivers a touching performance as Marius. Björk's Enjolras, on the other hand, is a bit less mature than my usual preference, and therefore didn't especially stand out to me. (A part of that might have to do with his costuming. I had a hard time telling him apart in the barricade scenes.) 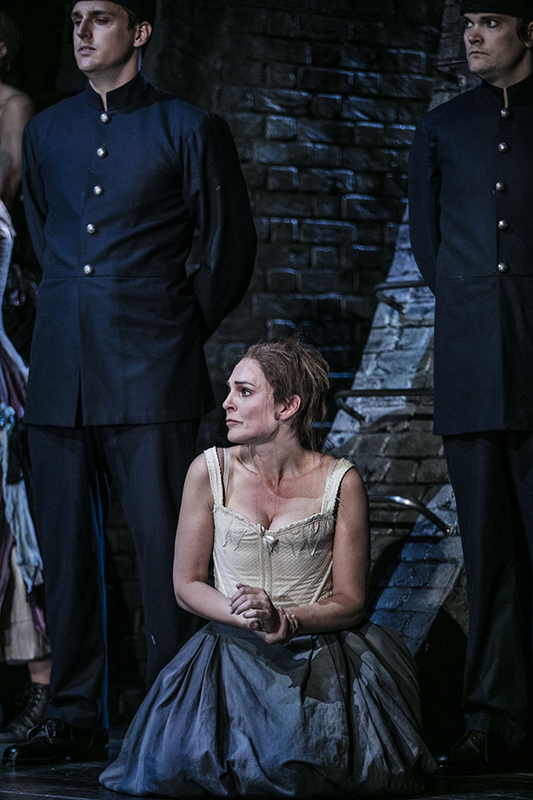 Kerstin Hilldén's Éponine didn't leave an especially strong impression on me either, though I appreciate how young and therefore vulnerable the character seems like, especially in the first act. If this was Hogwarts, I have a feeling Cosette (Kristin Lidström) would be sorted into Slytherin. She is a cunning creature, thinking hard and fast of ways for her to spend more time with her newfound boyfriend – only to see her three-men-I-saw-beyond-the-wall lie backfiring and taking her away from her love instead. Lidström puts a lot of character in Cosette's short moments and sings the part to perfection. One ensemble member stood out to me especially. John Alexander Eriksson's (Combeferre and other roles) strong beautiful voice caught my attention whenever he was featured as a soloist. He's the understudy for Javert, and thanks to Wermland Opera's excellent cover list, I know he is going to perform the part on November 19th, when I travel to see the show for the second time. I'm very excited! This production sounds and looks good. According to conductor David White's interview in the souvenir programme, Christopher Jahnke's orchestration with additional orchestrations by Stephen Metcalfe and Stephen Brooker is inspired by the 2012 musical movie. 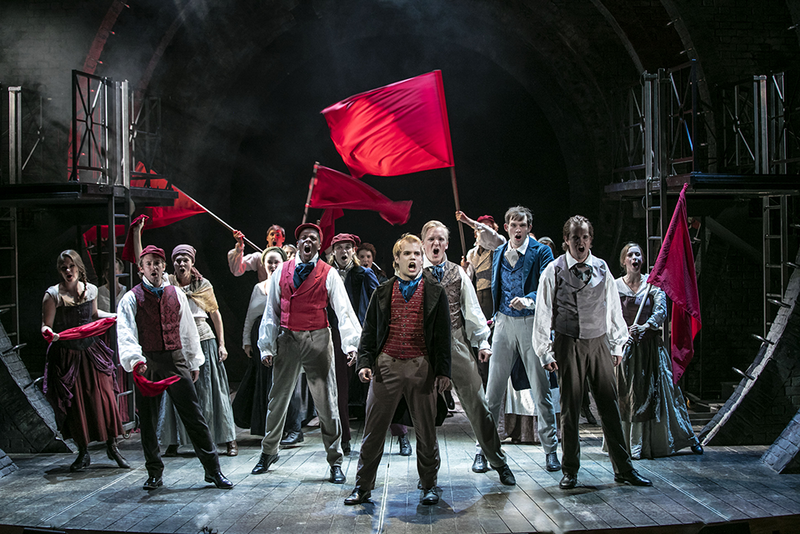 In another interview, White is quoted saying that at the moment, this production features the whole world's biggest Les Misérables orchestra – which is no wonder, since it's produced by an opera house. Combine these two elements and you get a full, lush sound that's not quite as harsh and bombastic as the 25th Ann. orchestrations. I especially appreciated the beginning of the Prologue, where the orchestra is accentuated by the sound of the prisoners' sledgehammers. 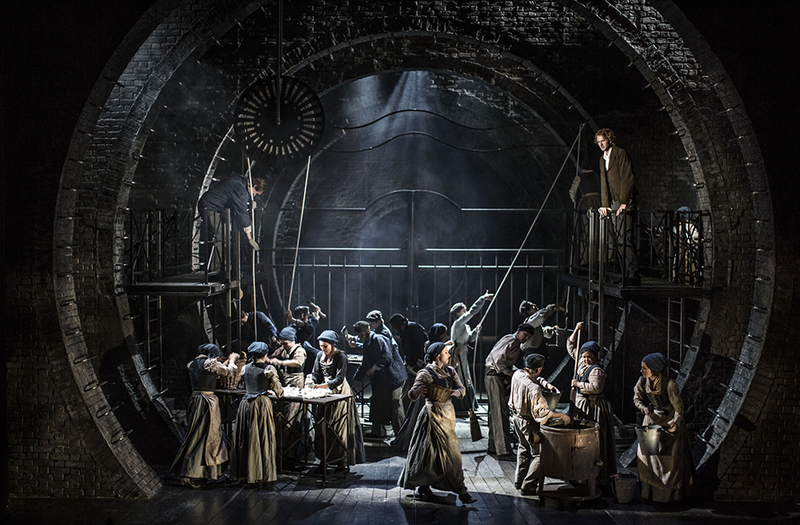 Lucy Osborne's sets place the whole story in the sewers of Paris, or that's how it looks like to me (I'm sure Victor Hugo would approve). The set is impressive and allows for smooth scene changes. Osborne's costume design doesn't look like it's firmly rooted in any clearly specified time period, it just has this generic old-fashioned feel to it. I like that. The stories of the miserable ones could take place in anytime anywhere and continue taking place all around the world today, so I think the timeless visuals are a good fit. I have my nitpicks and disagree with a couple of the performances, but direction-wise and as a whole, I wonder if this might be the best production of Les Misérables I've ever seen. While nothing can ever beat the emotional attachment I have to a certain earlier production, the way this production flows and the emphasis and depth it gives Jean Valjean's story really, really blows me away. It feels so fresh, despite being a 30-year-old megamusical phenomenon. Nothing makes me feel quite like a good production of Les Misérables. Heart racing, new thoughts about the story and characters firing through my brain, standing up to cheer and clapping until your hands hurt. For me, it's as cathartic as musicals come. If you love Les Misérables, you will love this production, too. See it if you can.